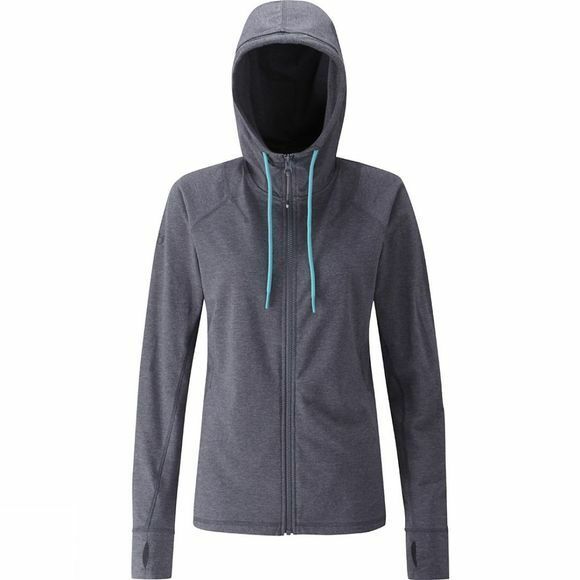 Rab's Essence Hoody for women is a lightweight cotton polyester with a full length Vislon zip. It's a comfortable hoody thanks to flatlock seams to reduce friction against the skin, and thumb loops for keeping the hands warm. Two front hand pockets provide some storage space, while a knitted banana tip cord at the hood opening keep the hood tight the your head even in a stiff breeze. The Essence is an ideal midlayer for anything from walking the dog to climbing.